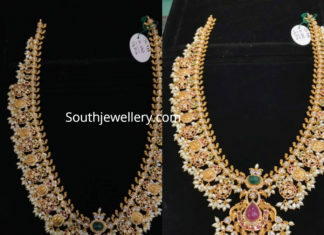 2 carat gold antique guttapusalu haram adorned with kundans and pearls by P Satyanarayan and Sons Jewellers. 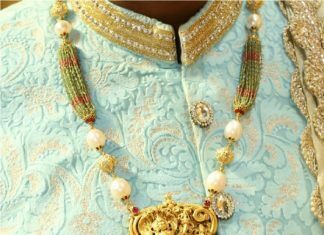 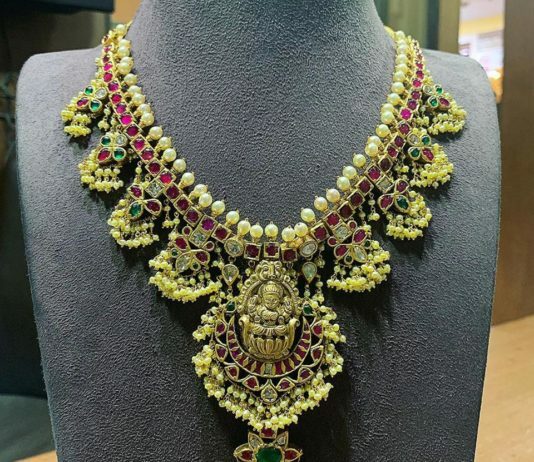 22 carat gold antique guttapusalu necklace adorned with polki diamonds, rubies, emeralds and pearls paired with double jhumka earrings by JCS Jewel Creations. 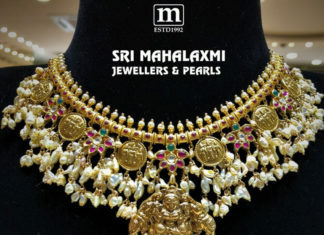 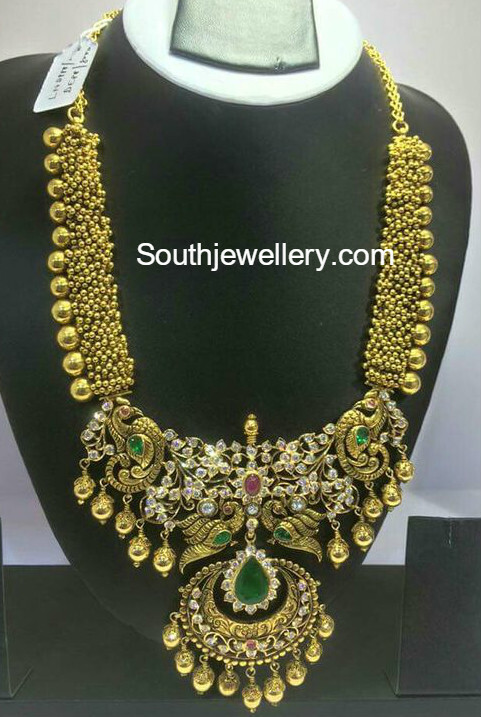 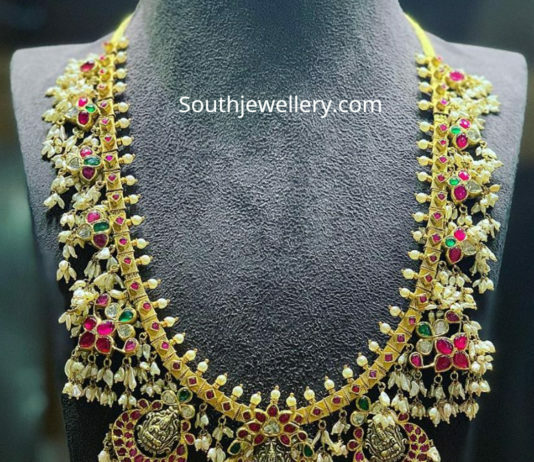 22 carat gold antique Ram parivar guttapuslau necklace adorned with rubies, emeralds and pearls by Sri Mahalaxmi Jewellers & Pearls. 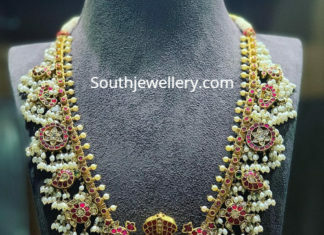 Beads chain with antique gold nakshi pendant.